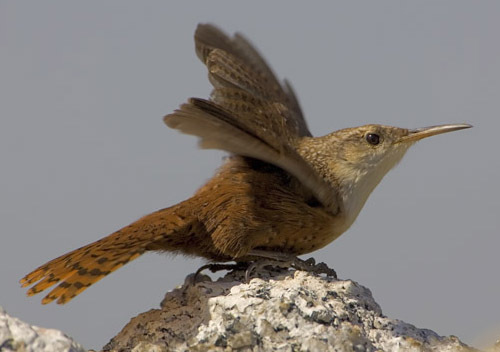 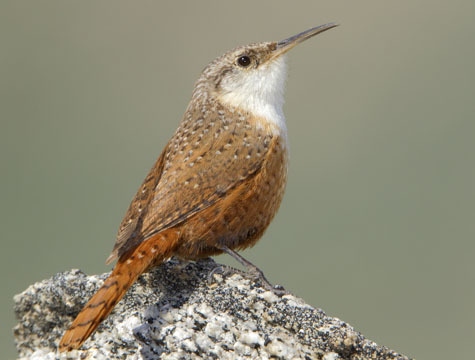 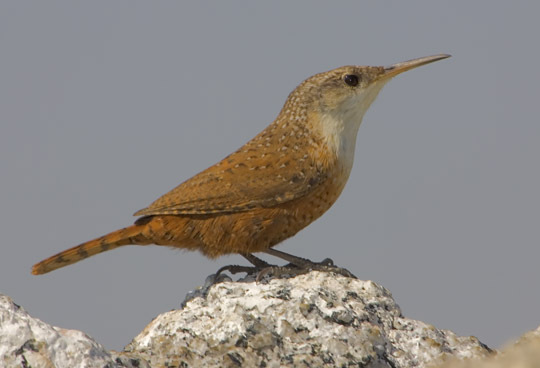 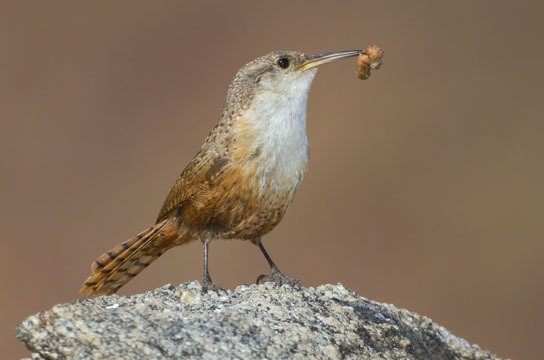 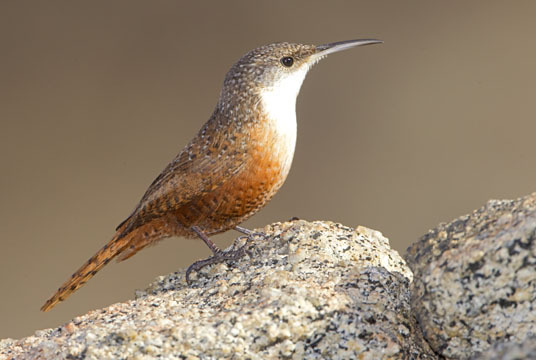 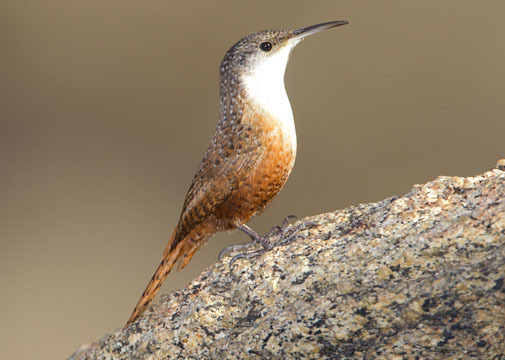 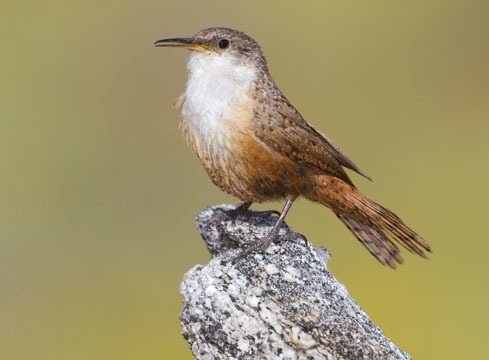 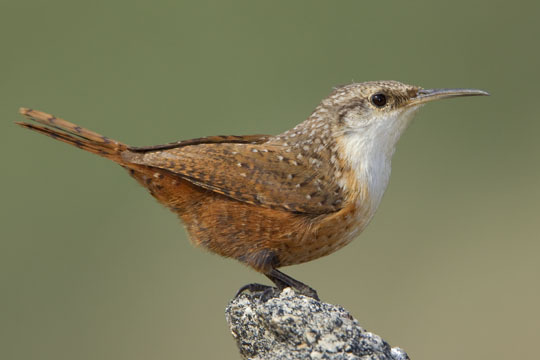 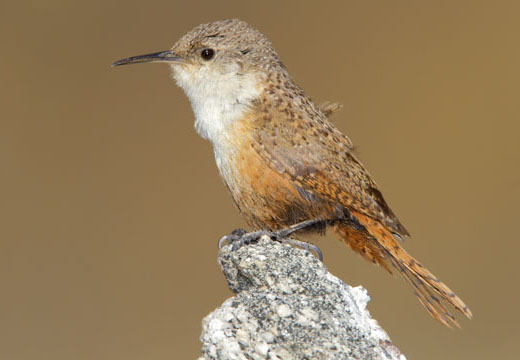 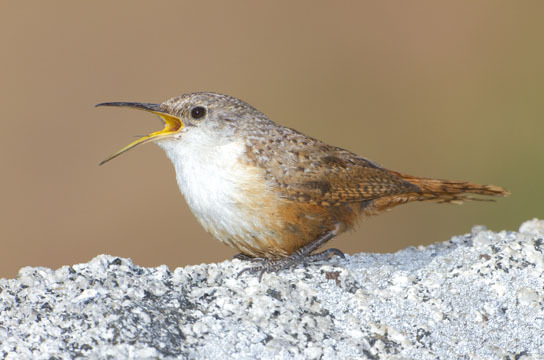 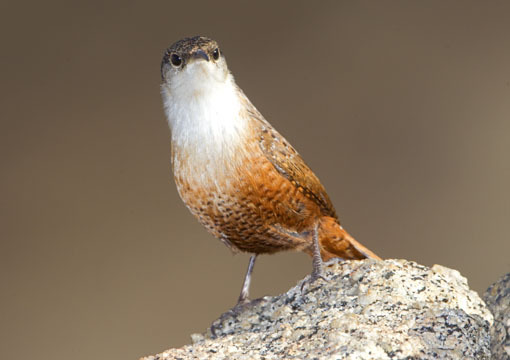 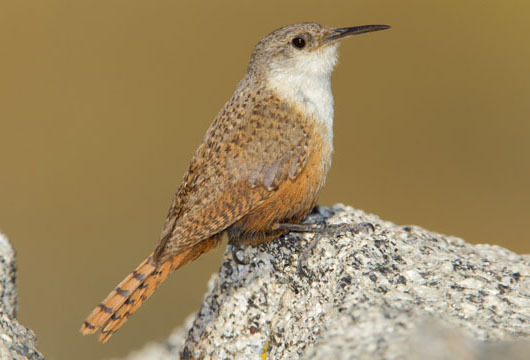 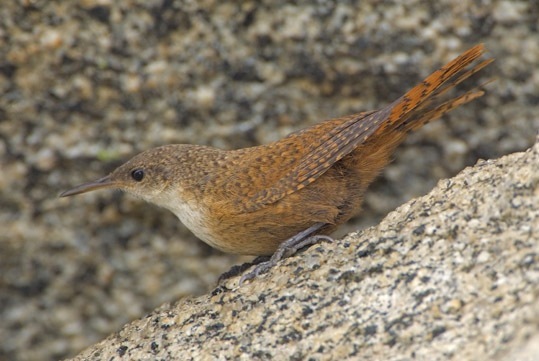 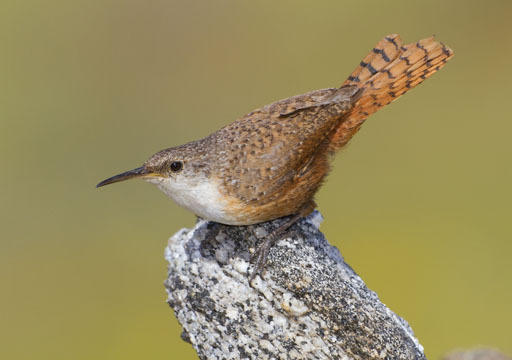 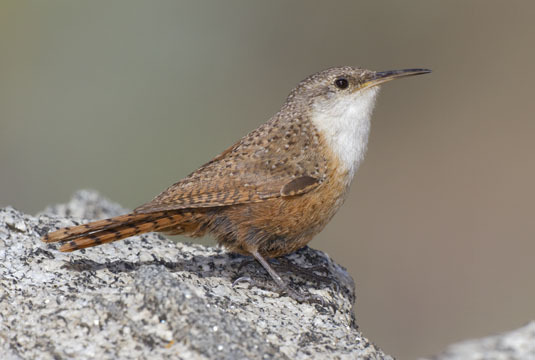 The canyon wren is common in rocky canyons and cliffsides throughout much of the western USA. 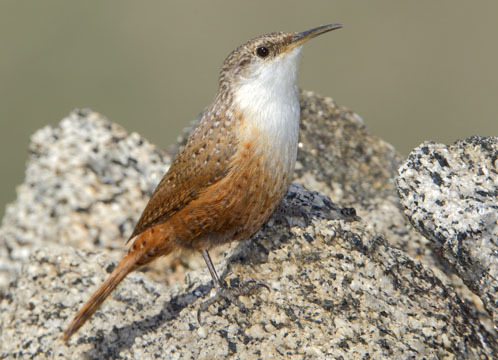 It has a flattish head, a bright white breast that contrasts sharply with rusty-red plumage, and a very long downcurved bill. 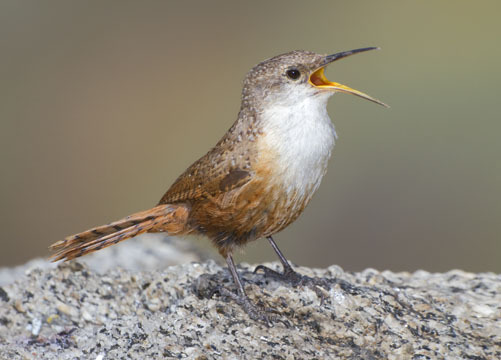 It also has one of the prettiest and most characteristic of western bird calls, a rapid series of sweet whistled notes, falling in pitch. 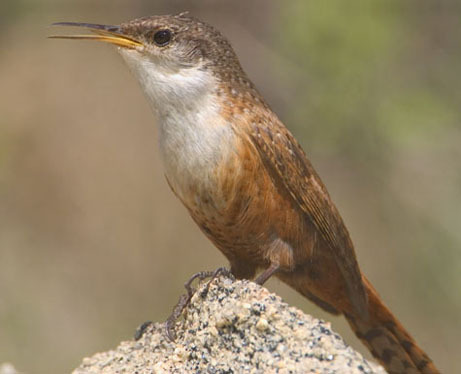 These birds were in Two Trees Canyon, near Riverside, California; all but the bottom image show adults. 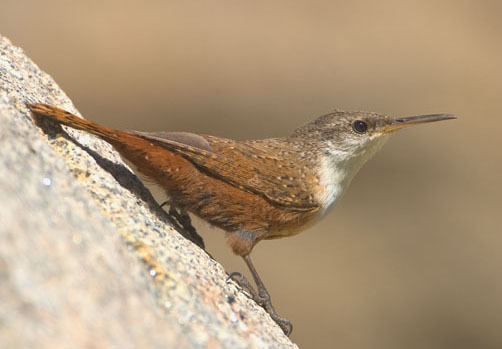 More photos of canyon wrens are here.